Orange Coast Title has been serving Real Estate Consumers and Professionals in California since 1974 and has recently begun an expansion program throughout the Western United States. As we continue our growth and success, we remain ready to stand behind our COMMITMENT TO SERVICE. From Top to Bottom our philosophy is to do what we can to Close Your Deal. Brent Bailey is the Vice-President and Regional Manager of Orange Coast Title of Northern California, a subsidiary of Orange Coast Title. 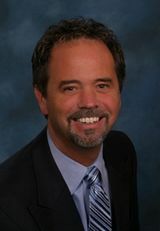 Brent has 24 years of experience in title and Escrow. He has been successful in many aspects of his career, from sales, to sales manager and county manager, Brent finds it extremely exciting to be a part of a very unique industry. An industry that allows people to accomplish the American dream of home ownership, as well as creating exciting and challenging careers with unlimited opportunity. Brent considers himself as an outgoing, forward thinking Title and Escrow Regional Manager that is engaging, friendly and always professional. He believes in guiding, supporting and motivating people to accomplish things in ways they never thought possible. Debbie Alvarez is the Assistant Vice President, Escrow Manager for Orange Coast Title of Northern California. Debbie comes to Orange Coast Title from First American Title and prior to that was the Senior Vice President and Director of State Escrow operations for Financial Title. 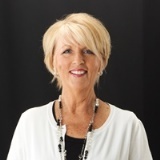 Debbie has worked with a diverse group of transaction types from new homes, resale, REO, refinance, short sale, investor marketplaces and commercial. Debbie is passionate about both her career and family which she attributes to being the motivating factor behind her 30 +years of success. Being one of the first three employees hired for our Northern California Region Debbie has been a strong contributor to OCT’s success in this market place.